Mal & I have owned dogs for over 30 years years starting with an Irish Setter and a tricolour Rough Collie. We bought our first dog to show in 1988, a Rottweiler and then our first Cavalier in 1989.
travelling to speciallty shows interstate and showing locally here in WA. well adjusted pets to some wonderful homes. 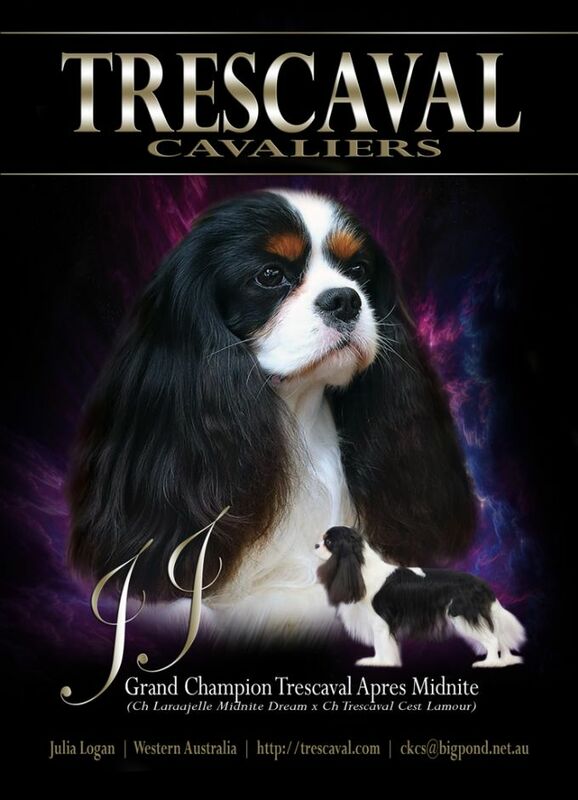 Our focus is on breeding and showing our Cavaliers. For over 10 years (since 2005) I have coordinated heart clinics for veterinary specialists. I now coordinate heart clinics for a veterinary cardiologist from the University of Sydney on an annual basis. I also eye test using a veterinary ophthalmogist as and when required. Some other conditions I DNA test for also as and when required by sending samples over to the UK.